Not many bathroom lights can give the classy appearance and atmosphere that this contemporary light can. Step into your bathroom and feel like royalty when you have these lights. 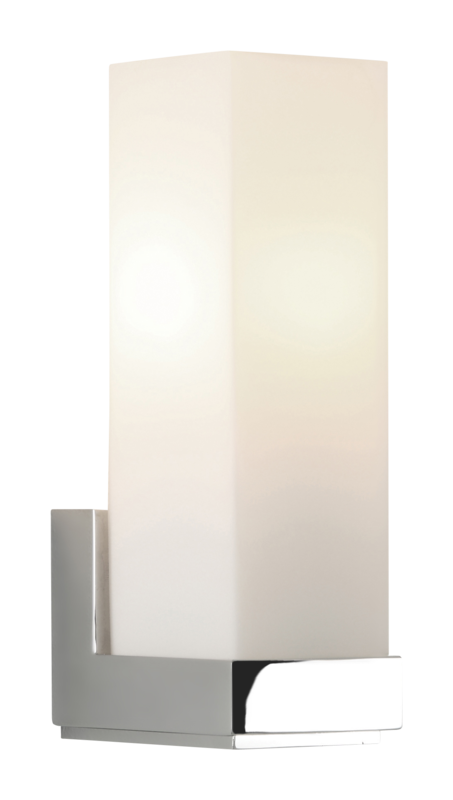 The polished chrome finish adds sharpness and the white glass diffuser projects the perfect amount of light for a relaxing atmosphere. This light is IP44 rated and produces best results when used on the side of your bathroom mirror. Using these lights as your main source of light when taking a bath or shower will make you feel like you are bathing by candlelight.